vintage, japanese anime, the rose of versailles, cartoon, sunstar stationery, erasers, rubbers, riyoko ikeda. 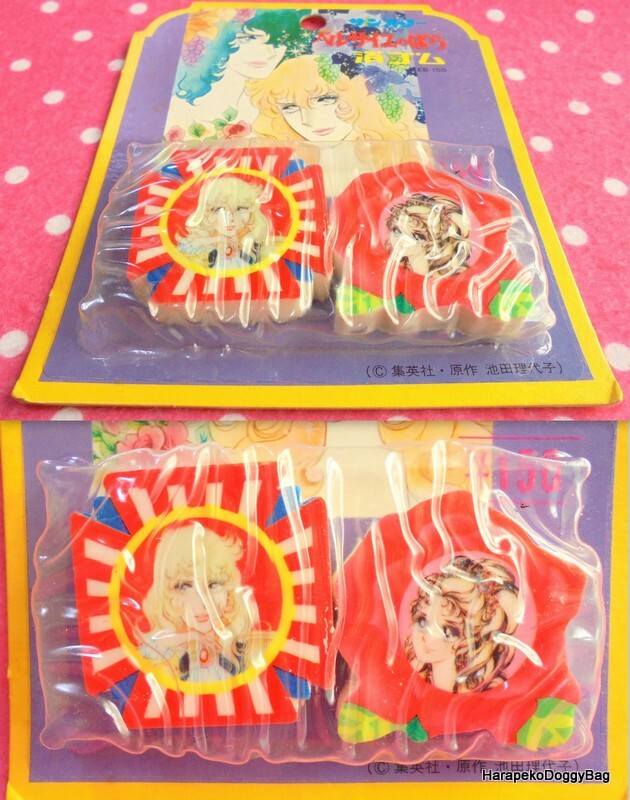 Here is a rare vintage eraser set for "The Rose of Versailles" anime. There are 2 plastic erasers in the set. The item is in new and unused condition. Overall, the set is in near excellent condition. Due to age and handling, The cardboard backing sheet has some marks, scratches and creases. The outer plastic shell packaging has become wrinkled due to age. The erasers inside remain in new condition and the designs have not been damaged. Keywords: vintage, japanese anime, the rose of versailles, cartoon, sunstar stationery, erasers, rubbers, riyoko ikeda.